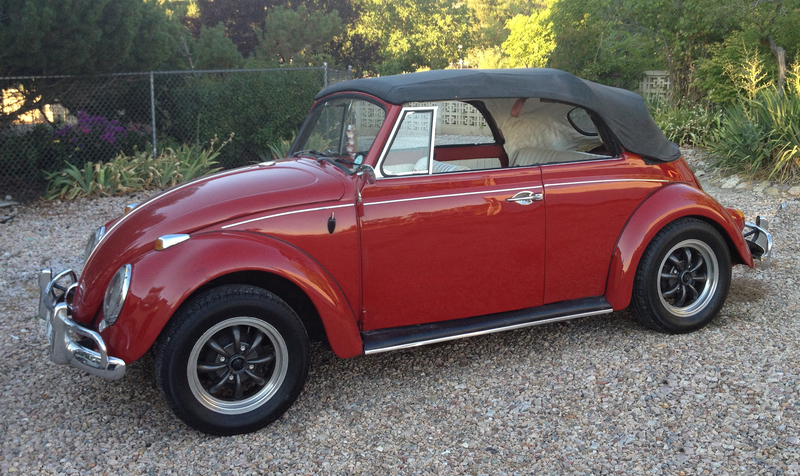 We saw this little ’67 bug at our neighbors house and for some reason I just could not stop thinking about it. After weeks of convincing my husband, we stopped to visit and worked a deal to purchase. Our neighbor had inherited it from his brother so he could tell us the history. 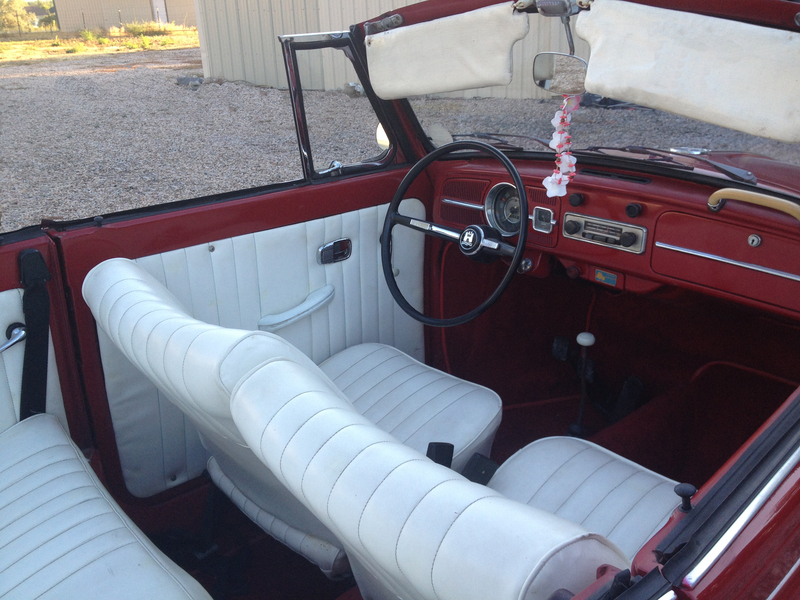 In 1980, Mr. Obray decided to purchase the ’67 for his daughter. He bought it from Warner Roth in Bremen, Germany. In 1982, it came to California on a ship via the Panama Canal. He did overseas purchasing so he was able to arrange transportation. His daughter drove this car and loved it. It still has the season pass sticker in the windshield from Huntington Beach. In 1988, it had a small engine fire and she was afraid to drive it again. It was stored in a garage until it came to Utah in 2011. 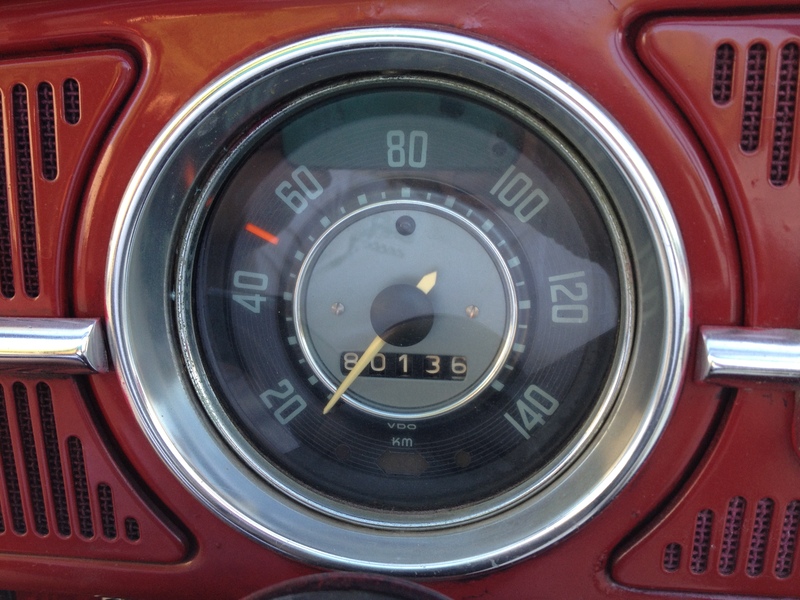 It had 78,635 original Kilometers. Our goal was to make it run and enjoy it before the summer ended. First, we knew we needed new rear wiring but it didn’t take long to realize many other parts had been affected by the fire. 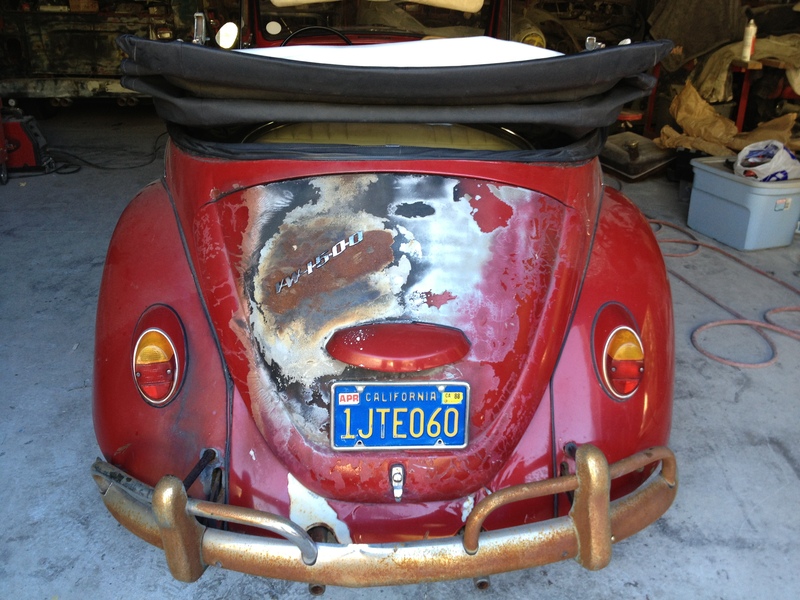 We also realized it had spent 15 years in Germany, so it had quite a bit of rust. We treated and replaced rusted areas in the floor and purchased new electronic components for the motor and a new carburetor. We ended up taking out the motor and fixing an oil leak on the oil cooler seal. Not knowing if the motor would be ok, we were very excited when it started and ran perfect. It is the motor that was documented when it came from Germany and appears to be the original motor with original Kilometers. Next, we started doing body work. We decided to match the paint and painted from the front door back and to the other front door because I was too excited to get it on the road. We will paint the front section this winter. We worked on the little bug every day possible for about 5 weeks before we took it on its first ride. We may do a total restoration at a later date, but for now we want to keep it very original and just enjoy driving it. We are quite new to the bug world so one of our biggest challenges was our lack of knowledge. We talked to a lot of local enthusiasts, got information from The Samba, watched some You Tube videos and purchased DVD’s from Bug Me Videos. It has been a fun adventure and we have met a lot of great people. ’67 Only takes on new meaning when it is a European Volkswagen and when you start looking for parts and information, there are even fewer people who can help with answers. I will try to list the differences we have found in our adventure. The cars that were built and sent to America were 12 volt in 1967. The European cars remained 6 volt. They stayed with the earlier front fenders in Europe. They have the recessed lights with covers. The headlight is a larger bulb behind a metal shield. 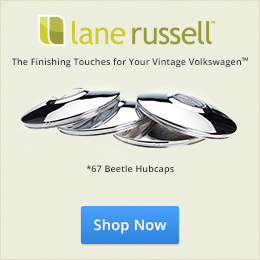 Apparently only the European VW’s used this light application and I found a vendor on Samba that sold them. Very lucky since one was burned out. Tail light lens are amber on the top. The one year deck lid also has a different emblem in Europe. VW 1500. Axles are like the 68 axles. They are still swing arm but with 4 lugs. We had some problems with the starter so we went to buy a new one. None of them matched and no one seemed to know why they didn’t match. We had an auto stick starter in our 6 volt bug. Not knowing what to do, we put a new 6 volt solenoid on it and it seemed to work. Later I seen an article on Samba stating that this mechanic had worked on a European bug that had a 180 mm flywheel with 130 teeth and a starter to match the teeth. It all made sense then because the auto stick starter would have matched that flywheel. I wish we would have counted teeth when the motor was out. The gear shift knob is white. The radio is not the American variety. 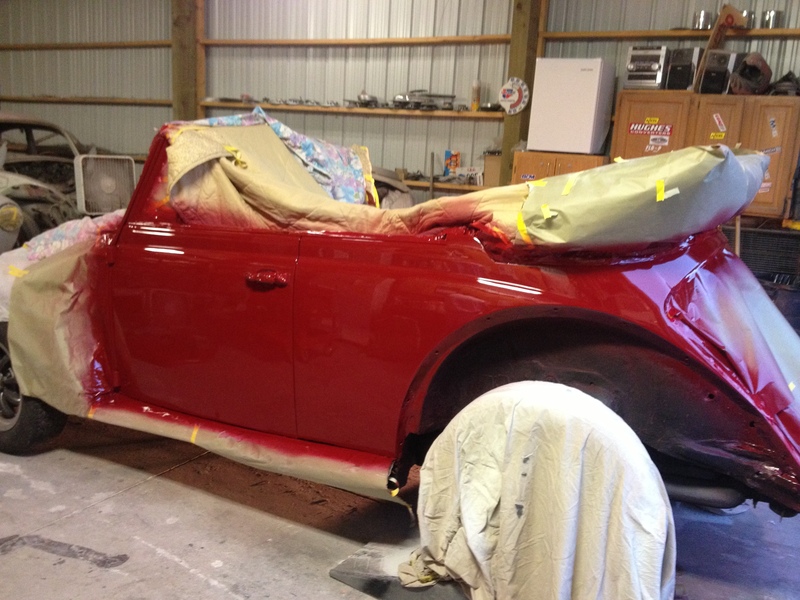 We like to do stock restorations as much as the parts will allow. A lot of people told us to convert our bug to 12 volt but we really felt like we needed to keep this car as much original as possible. The interior is definitely re-done and we will change it eventually. At this point, we have officially been bitten by the “BUG”!! We get ask a lot why it is not a right hand drive. Germany drives on the same side of the street as we do. Volkswagen produced right hand drive cars for England and Switzerland. 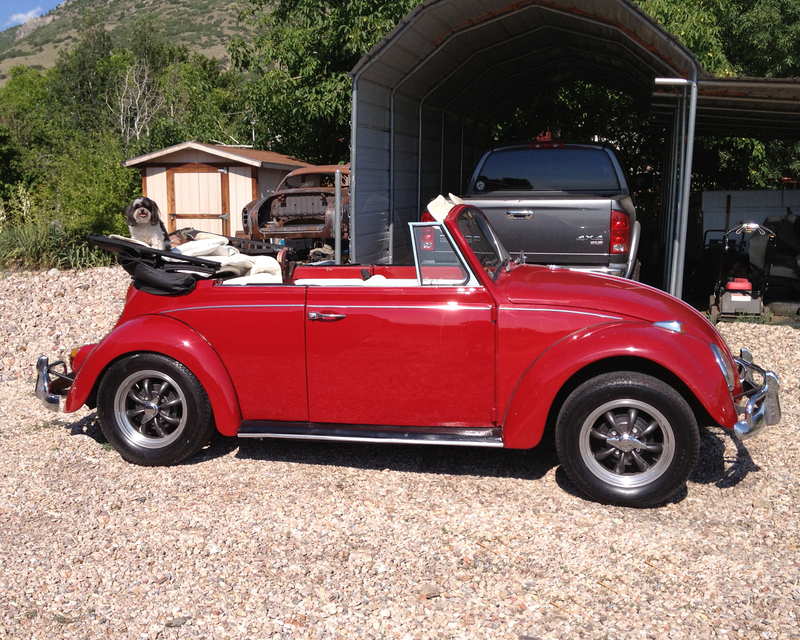 Thanks, Dena, for sharing your ’67 with 1967beetle.com. Nice restore, keep those hoses fresh! Inspect the fuel lines periodically. Move the filter to the undercarriage. That’ll prevent a fire. Agreed. No fuel filters in the engine bay. One of the other things different about the 1967 European Beetle is that it’s supposed come stock with front disc brakes. Does it? It does! Pretty cool if you ask me.